Only 3 prototypes in this color have ever been made and only 1 is left!!! Read below to learn more about the incredible qualities on this timepiece. Make sure to follow our page! Limited Edition to only three ever made. Last one in stock!!! The Icon is a final phase prototype that did not go in to production. There are only 3 pieces ever made in each color. The piece was made to test the boundaries of what we could do with a titanium case by combining elements of titanium in to a solid mold. 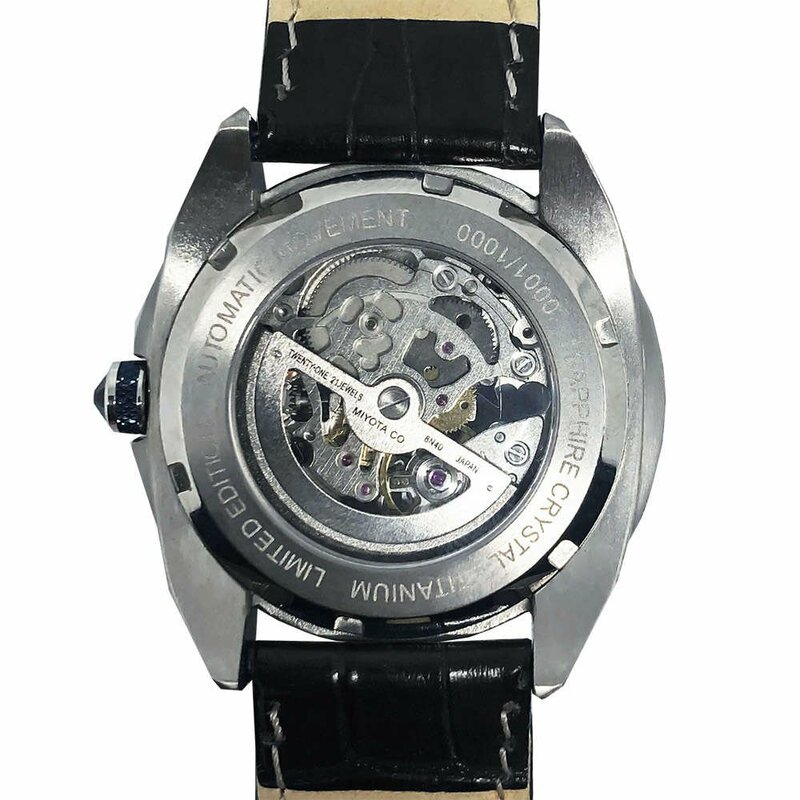 The piece uses the highest available components ranging from it's sapphire crystal to it's swiss made automatic movement. A masterpiece. Be one of three people in the world to own one. 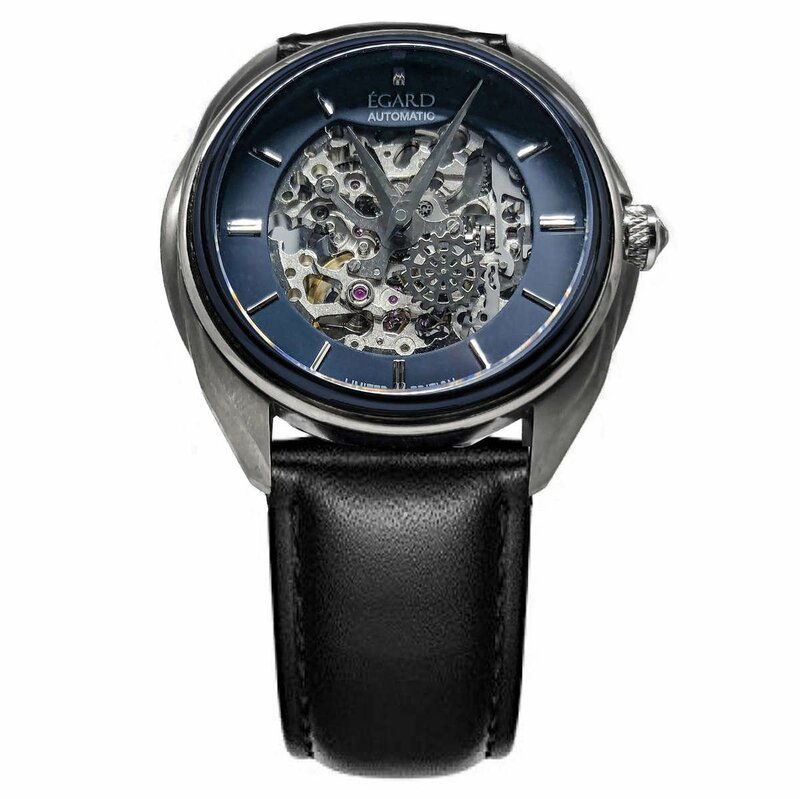 The caseback also features an exhibition sapphire crystal showing the automatic movement housed within. 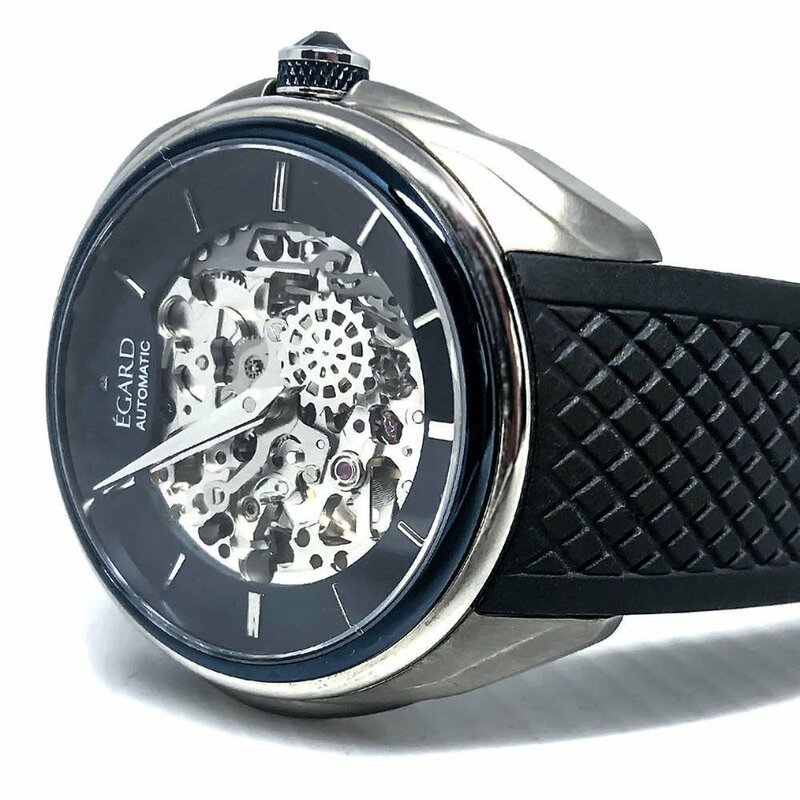 The skeletonized 8N24 is a fantastic automatic movement with a 40 hour power reserve that will wind off the movement of your wrist. 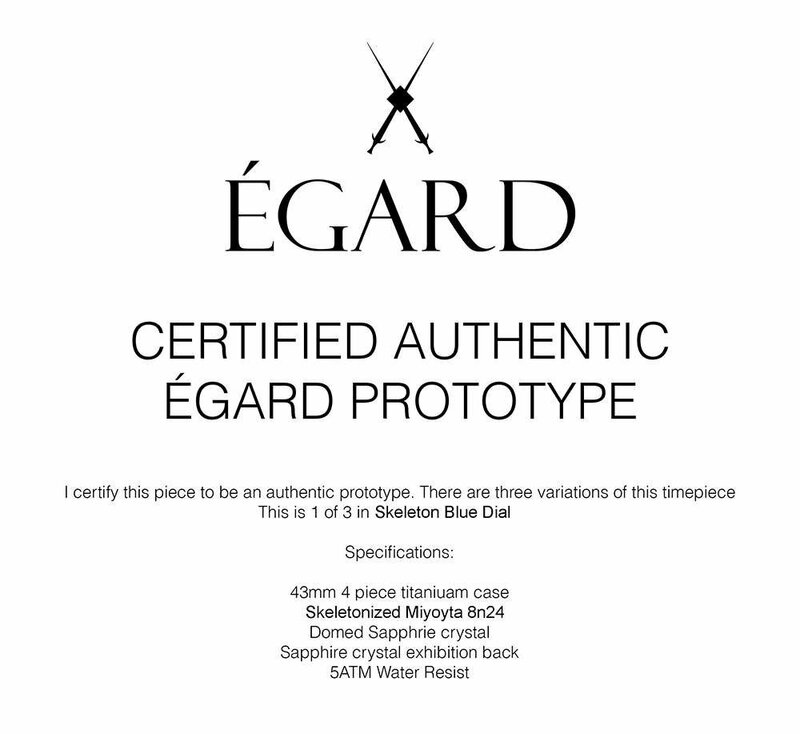 Each prototype comes with a hand signed note from founder of Egard, Ilan Srulovicz stating that the piece is one of three ever made. If you are a collector this piece is about as unique as you can get!